The most comprehensive crop insurance software on the market today, AgriNet™ Crop provides agents with real time, online access to policyholder files in a user friendly format. ARMtech also has in-house developers which allows them to continually update the system based on any new rules and regulations which keeps the system up-to-date and on the cutting edge of technology. 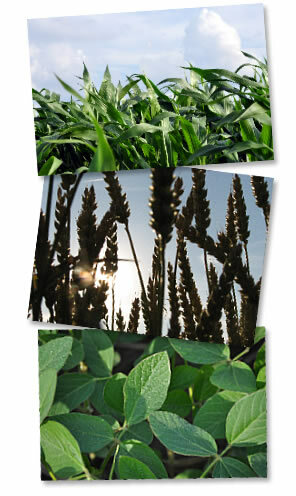 Now more than ever it is critical that crop acreage be reported accurately. ARMtech's mapping program can provide a visual reference that allows for greater accuracy and fewer errors. In order to handle the increased volume of claims and to eliminate the needs to assign adjusters to every claim, ARMtech encourages producers to take advantage of their Simplified Claims Processing. This ensures the quickest turnaround and the fastest payment because it does not require a visit from an adjuster. If the loss qualifies for this new claims processing system, ARMtech will process the loss immediately and issue an indemnity check right away. For a complete list of eligibility requirements or to see if a loss qualifies please call your agent. ARMTech Precision Farmers use the latest farming technology in tandem with the AgriNet software to report planting and harvesting activities simply by providing digital data to their insurance agent. Electing to sign up as an ARMtech Precision Farmer not only guarantees the producer the freedom to report using precision farming equipment, it also allows the producer to manage their insurance coverage at the field level. ARMtech Policy Holders have the flexibility to view, save and print just about anything related to their policy including policy documents, claims information and account balances. Additionally, policy holders can view field maps, sign up for direct deposit, digitally sign policy and claim documents. Producers can manage their policies from the palm of their hand with the ARMtech App which is available in the App Store or the Android Market. ARMtech's App can be used to search for available insurance products, view actuarial changes, reference Special Provisions of Insurance, track commodity prices and even stay on top of current Insurance News and Agricultural Headlines. Policy holders also have access to all of their personal policy information. ARMtech Policy Holders can also have account alerts sent directly to their mobile phone via text or email. These alerts include notification of changes to claims status, upcoming deadlines like Acreage Reporting or Sales Closing Dates. Daily commodity reports can also be sent through these alerts. ARMtech also offers direct deposit on claims payments. The AgriSignature is available for policy documents and claims documents. All ARMtech adjusters are equipped with AgriSignature capabilities for enhanced customer service. The ARMtech website, www.armt.com, offers a wealth of information about all of the services provided by ARMtech.